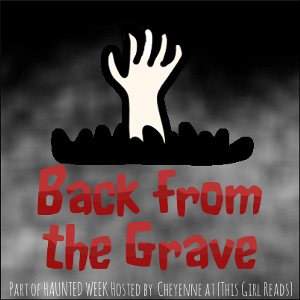 Get ready to dig up your past and bring some of your old friends back to life: Today feature five books you read and loved as a kid. I have loved to read since an early age, so there are many, many books I have enjoyed over and over. The first book I could read by myself was called Ann Likes Red (if my mom swore, she would swear I was three when I learned how to read; Go Go Montessori Education!). Let’s see if I can narrow my absolute favs down to five (SPOILER ALERT: I can’t). 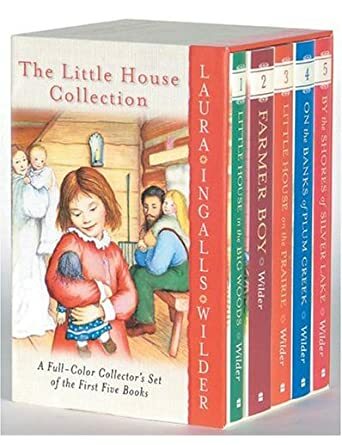 The Little House books by Laura Ingalls Wilder. All girls read them. Period. You could be Mary if you were a girly-girl and Laura if you were a tomboy. Something for everyone. I am sure I was always workin’ at least one of these books. One caveat: I only read Farmer Boy once (super boring) and By the Shores of Silver Lake maybe twice. SPOILER ALERT (<snort> It’s been 73 years, come on already)! BtSoSL is the volume where Mary gets scarlet fever and goes blind, and Jack, the stalwart bulldog, dies. Plus all they talk about is snow and cold. No thanks. 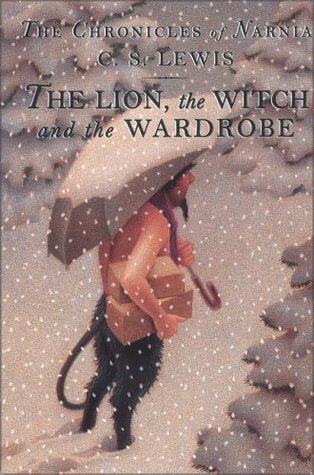 The Lion, the Witch and the Wardrobe by C. S. Lewis. I did read the entire series, but most of the other books I only read once. This is the best one by far. There was some controversy as to which book is the actual first book (either this one or The Magician’s Nephew which takes place chronologically before TLtWatW) but according to Wikipedia, most scholars think The Lion is first. 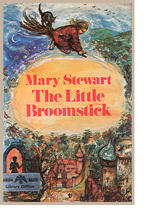 The Little Broomstick by Mary Stewart. I was obsessed with reading about witches when in elementary school, so I read everything I could get my hands on. No question, this was my favorite; so much so that as an adult, I tracked down a first edition and now have it in my collection. So many witch books at that time were cartoon-y, so I loved the fact that this one was much darker in tone and didn’t talk down to me. The scratchy drawings add to the creep factor, for sure. All the Rest, including (but not limited to): A Wrinkle in Time. The Dark is Rising sequence. The Cricket in Times Square. The Black Cauldron. The Egypt Game. Jennifer, Hecate, Macbeth, William McKinley and Me, Elizabeth. The Phantom Tollbooth. Considering the fact that the sheer number of books aimed at the kid/middle grades/young adult market today are hugetastic, I wonder if there are the same number of books that stay popular and are around as long? I mean, just look at the dates that some of these books were published and how many kids were still reading them ten, twenty, thirty years later. Does that happen today? Tomorrow’s topic: It Came From the Web. Oh, I know the book Ann Likes Red—it was my mom’s favorite book when she was a kid, and I’ve heard her talk about it before. I really like The Lion, The Witch and The Wardrobe too. I only read a few of the books in the Narnia series, but that was my favorite of them all. I’ve read some of the Laura Ingalls Wilder books too! My sister has the complete set. Your Mom has great taste! I loved Anne of Green Gables – I still have the first 5 or 6. As for Ms. Drew, my mom’s friend from childhood loaned me her original Nancy Drews from the 30s. They weren’t the best made books, so the corners of the pages would break! 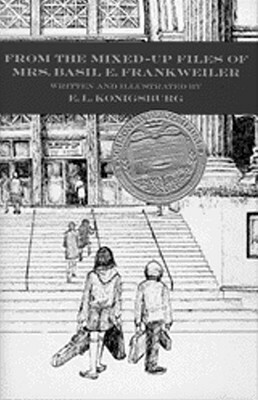 My brother and I laughed ourselves silly at the language in those books – Bess and George were Nancy’s “chums” and Nancy drove a blue roadster. I don’t think I ever read the updated ones? I did like the 2007 movie with Emma Roberts. Didja notice that there was no Mom in the Hardy Boys books either? Solve that crime, kids! I remember it being super popular when I was a kid. Audrey has read 4 books toward her goal of 125 books. Share book reviews and ratings with Audrey, and even join a book club on Goodreads. It’s Time for Winter COYER!